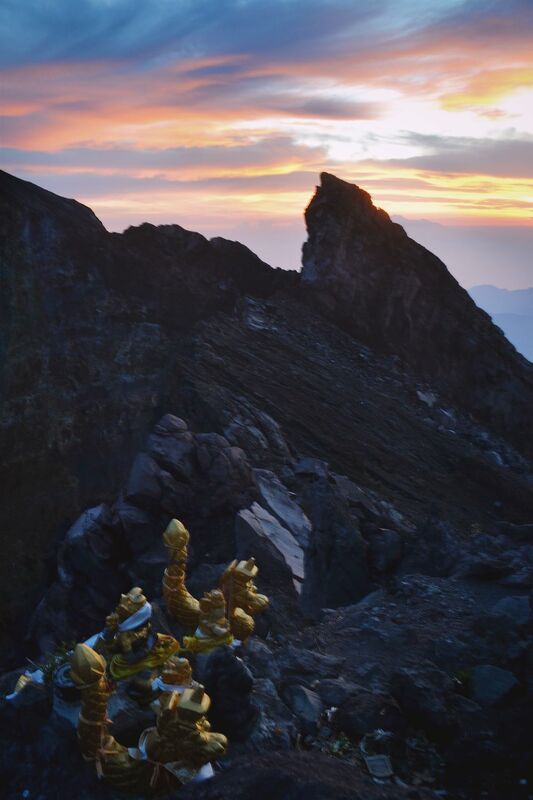 After leaving the night before on a trek up the active volcano Mount Agung, we reached the summit at sunrise - the highest point in Bali. 7 hours of hiking had brought us to a magnificent view over the entire island as light bathed the land and images of swirling magma beneath our feet hovered behind our eyes. Our local guides had patiently lead us the whole way, stopping occasionally to revive us with fried bananas. At the top of the volcano, this offering welcomed us as we peered over the crater in the morning light. This photo of the offerings to Mount Agung was taken a year ago, and today the volcano rumbles with life - all signs suggest a major eruption is imminent, and all nearby people have been evacuated.